This column originally appeared in The San Francisco Chronicle, June 28, 2018. The Trump administration has made its contempt for the news media a mainstay of its political messaging, even while those same media assure him 24/7 public stardom on screens of all sizes. But apart from threats and sneers, the administration has done little to attack the media or its sources — nothing to rival the historic Obama administration record of nine leak prosecutions. It was never likely that the administration’s inaction was born of restraint. President Trump himself insisted he wanted the leaks stopped, and Attorney General Jeff Sessions said in August that the Justice Department had opened three times the leak investigations it inherited from President Barack Obama. So it was only a matter of time, and it now looks as if the threatened assault on the news media has finally begun. The first person charged by the Trump administration with leaking classified information, Reality Winner, pleaded guilty in federal court last week. Another accused leaker, ex-FBI agent Terry Albury, pleaded guilty to two counts in April. They each face four to five years in prison. But the case that has drawn the most attention from the media themselves — mainly because of the indications that a reporter and source were romantically involved — is also the one that exemplifies, most disturbingly, the seriousness of the administration’s determination to crack down hard on the press. It’s not an especially high-stakes case. 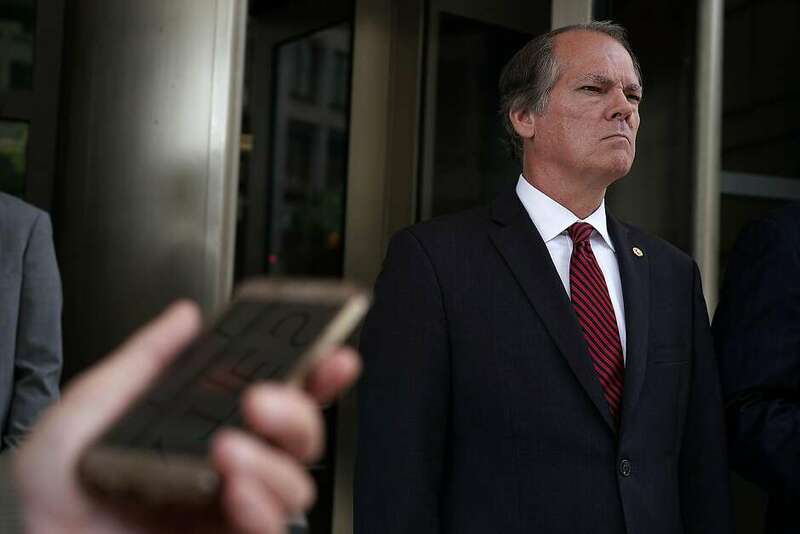 Last month, a veteran congressional aide, James A. Wolfe, who was head of security for the Senate Select Committee for Intelligence, was indicted for allegedly lying to the FBI about unauthorized disclosures he purportedly made to reporters. What Wolfe allegedly leaked was information that a man who later became a foreign policy adviser to the Trump presidential campaign, Carter Page, had been in contact with a Russian intelligence agent in 2013. That contact was described in a story last year posted on the online site Buzzfeed News, and written by a young reporter named Ali Watkins. The FBI was watching, and when Wolfe was questioned by investigators, he denied being her or anybody else’s source. For those denials, he now faces three counts of lying to investigators. By that standard, this is light beer. Page was, at most, a fleeting and peripheral figure in the Trump campaign and, although some press accounts suggest the Russians were trying to recruit him, there’s no indication they got anywhere. At most, Watkins’ story added some brushstrokes to the broader picture of Trump loyalists with rich histories of contact with unsavory Russian officials. Nor is the element of the case that has drawn the greatest media attention a matter of grave policy concern. This is what the indictment calls the “personal relationship” between Watkins and Wolfe that allegedly began when she was an undergraduate at Temple University interning in Washington and beginning a fast climb through some of the capital’s top news organizations — McClatchy’s D.C. bureau, Politico and now the New York Times. What her relationship with Wolfe consisted of isn’t clear. Watkins’ own tweets referencing the fictional journalist from the Netflix series “House of Cards,” who sleeps with her congressional source, don’t help her cause. One can only assume that this seamy element encouraged the administration to showcase the Wolfe indictment, because it would give press advocates pause before they flocked to Watkins’ support. That is, indeed, the way things have played out, and the media have obliged with no shortage of reminders that this isn’t how journalists and sources should work together. Which it certainly is not. The indictment alleges similar contacts between Wolfe and other unnamed reporters, and includes transcripts of text messages they exchanged. It’s impossible to know how many other journalists were surveilled or how wide the dragnet was spread, how many individuals were followed and photographed, how many other phone or text records involving how many other people unrelated to the investigation were collected, and how many private communications were compromised. What is clear is that the entire investigation was governed by guidelines that depart dramatically from the procedures adopted under Obama’s attorney general, Eric Holder, in 2015, when the government bowed to pressure to ratchet back its aggressive pursuit of news sources. Accordingly, investigators would seek reporters’ records only as an “extraordinary” step, when the information was essential, other means of getting it had been exhausted, and prosecutors had tried to negotiate with the reporters and given them a chance to contest the seizure, unless such a warning would “pose a clear and substantial threat” to the investigation or pose an “imminent risk” of death or serious harm. There’s no indication that any of those standards were met in the Wolfe case. What there is instead is a chilling determination to throw huge investigative firepower into plugging leaks of little consequence as long as doing so protects the administration from embarrassment, regardless of legal or constitutional constraint. If we take Sessions at his word about the surge in leak investigations, and consider the number of people almost certainly swept up in this single case — one with no discernible national security dimension — we’re left to conclude that an unprecedented assault on independent journalism has already begun. It’s an assault that is subjecting dozens of reporters and the people they deal with to intrusion and surveillance, that puts into practice the president’s own harsh words, and has as its ultimate goal shutting down the public’s only way of finding out what this unruly administration is up to. Previous: Previous post: Did the story on Aziz Ansari’s awful date cross the journalistic line? Tell this to James Rosen, or to the Associated Press reporters who were attacked by the Obama administration. They’ll laugh in your face. The fact is, what this reporter did was wrong, and the practice needs to be discouraged. On this occasion, perhaps the information was not critical to national security, but what about the next occasion? In journalism, there’s a right and a wrong way to do things. This woman finding out the hard way that what she did was not the way professionals work. It’s just a shame that she can’t be in the docket with her ex-boyfriend for their behavior.